Our neighborhood of Valley Station, KY, still has that quaint small-town charm. However, there are times where that works against you. For example, locating an affordable and trustworthy lawn care service provider is no simple task. Despite the choices available throughout the Louisville Metro, you just can’t seem to find the right fit. Instead, you should call the company that more area homeowners trust with all their lawn care concerns. At Lawn Works, we provide the most comprehensive landscaping solutions at affordable pricing every day. Since 2015, we’ve assisted more homeowners in our community enjoy a fuller, greener yard and a better quality of service for their yard care needs. We strive to offer more service choices at lower pricing, giving you the yards that you’ve always dreamt of having at home. Whatever your outdoor living spaces need to look their best, you’ll find it here with us. Call our team today and schedule your best landscaping services! We provide a full list of options to give you the best-looking yard for longer. Our staff has all the right tools, equipment, and professional background to achieve the top results possible. And more quality landscaping solutions. We find that most homeowners neglect their yards because it was never made to appear inviting. Whether you need help installing garden lights, walking paths, complete yard redesign, or just stay on top of pesky weeds, our team does it all! Contact us today when you need the best in affordable lawn care services. We offer more types of professional landscaping than anyone else around! 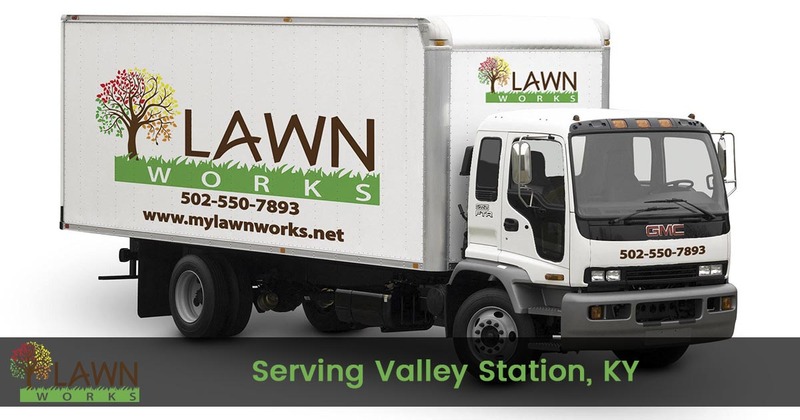 We pride ourselves on remaining a locally owned and operated lawn care company. When you hire us, you’re allowing us to continue keeping our community looking beautiful! Other service providers may only offer grass cutting and leaf blowing services. However, these two items alone aren’t enough to achieve a beautiful lawn. When you call us, we give your yard everything it needs to stay healthy and growing strong. Whether your soil requires nutrition, plants aren’t receiving enough sunlight, or any other concerns, we can handle them all. Over the past few years, we’ve been hard at work making our neighborhood look its best. When you deserve the best landscaping professionals around, you need us to service your yards. For the affordable choice in expert lawn care services, you can always depend on Lawn Works. Call us now to hire your best landscaping professionals!